Join us for our annual lecture series. February will feature Dr. Melvin P. Ely, Professor of History and Black Studies at the College of William & Mary and author of “Israel on the Appomattox”. Planter Richard Randolph learned to oppose slavery from his stepfather, St. George Tucker, and from his mentor, George Wythe. 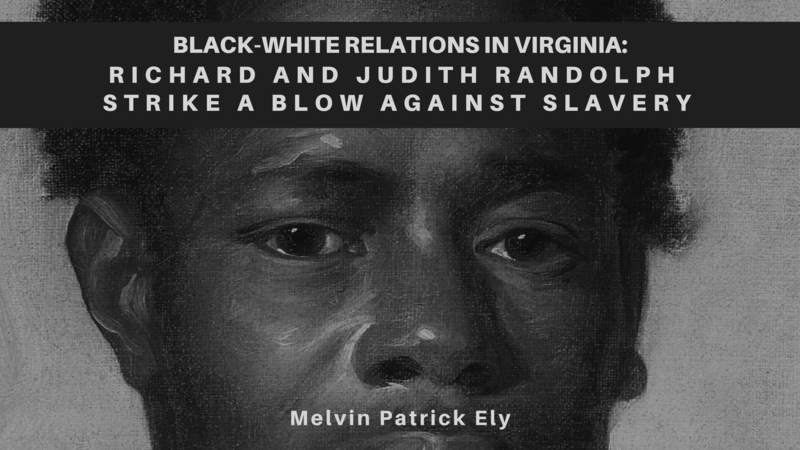 Richard and his wife, Judith, allowed nearly 100 of their enslaved people to build a new life as free landowners. Israel Hill, the community that those liberated people built, made its way in an antebellum Virginia characterized both by cruelty and by interracial intimacy embracing religious life, business dealings, and even spousal relations.